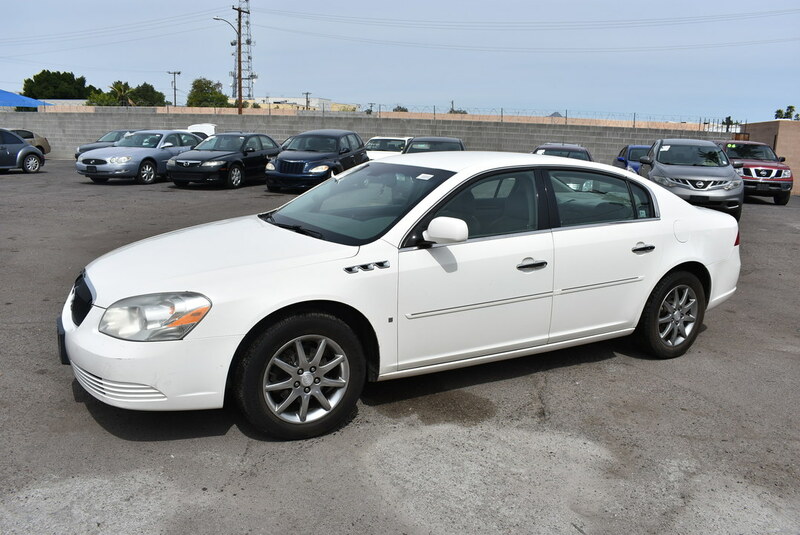 Our uplevel 2007 Buick Lucerne CXS will spoil you inside and out with the luxury options you would expect from Buick. It all starts with a 4.6 Liter V8 mated to a 4 Speed Automatic transmission. The Front Wheel Drive Lucerne is built on the same mechanical platform as the Cadillac DTS. Deemed the sweet spot for some buyers, the Lucerne benefits from the newest techniques for building a quiet luxury car. Inside, you will be treated to luxury by way of leather seating, dual-zone climate control, power seats, a multifunction leather steering wheel and much more. The suspension in our CXS model is tuned a little tighter and includes Airlift rear shocks for automatic level control. You will find safety features of ABS, stability/traction control, and plenty of airbags. Our Buick Lucerne is an attractive near-luxury car offering looks, features, quality, and value. If you like a modern, comfortable ride with competent road manners, this Lucerne is well worth considering. Print this page and call us Now... We Know You Will Enjoy Your Test Drive Towards Ownership! 2 owners and 22 service records per CARFAX!!!!!!!! This one was well cared for!!! !